Legend and stories passed down from players of the past, date the origins of the Sydney University Football Club (SUFC) to 1863 with matches against crews of visiting naval ships. The Sydney University Football Club is the oldest club outside of Britain and the eighth oldest in the world after Guy’s Hospital (1843), Dublin University (1854), Edinburgh Academicals (1857), Liverpool (1857), Blackheath (1858), Richmond (1861) and Sale (1861). “On the afternoon of 19th August, 1865 a rugby match was played on the University grounds. After an exciting struggle, which lasted an hour and a half, during which no goals were obtained by either side, the game was stopped owing to a misunderstanding with regard to the rules.” Sydney Morning Herald 22 August 1865. The Sydney District Competition was established in 1900. Prior to 1900 SUFC won eighteen 1st Grade competitions and five 2nd Grade competitions, with a first past the post system. SUFC has won 30 1st Grade Premierships and 116 Premierships in total across all Men's Grades and Colts teams since 1900. The Club has had great success in recent years, consistently featuring in and winning, Grand Finals. The Club has won the Club Championship 23 times, including the last 14 years in a row. 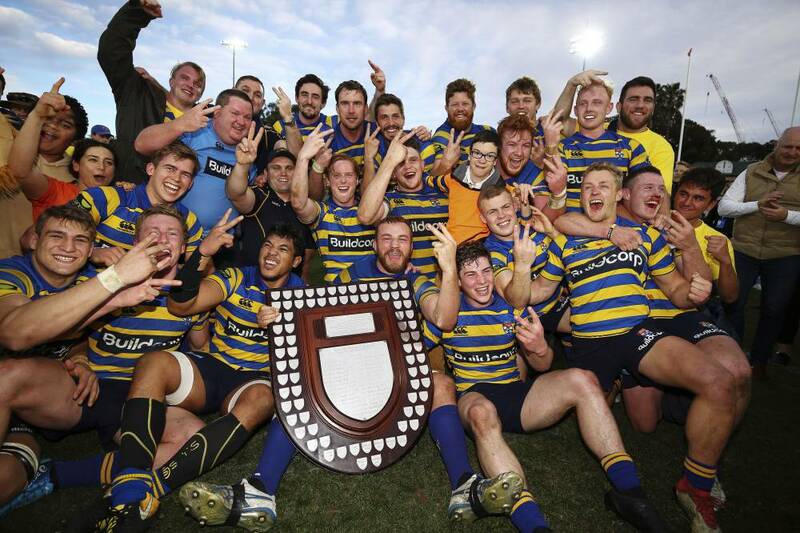 In 2018, SUFC was also the only club in the competition to have all 7 teams playing in Semi Finals, 1st Grade went on to win the Shute Shield for the first time since 2013. As well as the Shute Shield, 1st Grade won a number of perpetual trophies during the 18 round competition. This included, the Minor Premiership, The Sir Roden Cutler Shield, the White Ribbon Cup v West Harbour, the Tooth / Cutler Trophy v Gordon, the David Brockhoff OAM Cup v Eastern Suburbs, and the Poidevin Farr-Jones Cup v Randwick. The women's team was established in 1995 and is proud to have produced numerous Australian Wallaroos and Australian 7s players, as well as NSW 7s and XVs representatives. is a heavyweight in the Jack Scott Cup competition, winning 3 from the last four Grand Finals. 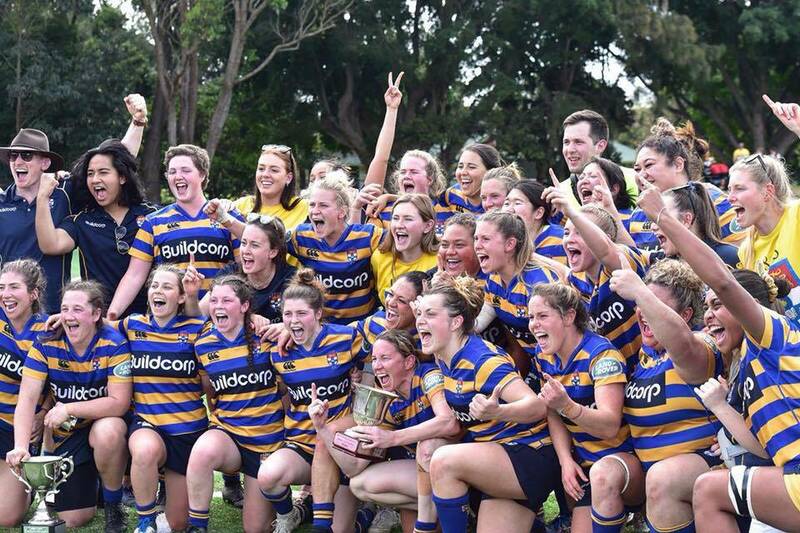 The Women’s XV team competes in the Sydney Women’s Rugby Union Competition for the Jack Scott Cup as well as participating in numerous 7s tournaments throughout spring and summer including the Shute Shield 7s tournament which started in 2018. The XVs team is a heavyweight in the Jack Scott Cup, winning 3 from the last 4 title. In 2018, the Students picked up both Major and Minor Premierships after they went through the regular season undefeated (winnning with a bonus point in every game!) before getting their revenge on last years champions the Warringah Ratettes winning 38-17 to be crowned 2018 Jack Scott Cup Champions. SUFC has the proud tradition of producing representative players. The Club has produced 127 Australian Representatives, of which 106 are Wallabies. Our most recent Wallabies are Folau Fainga'a (SUFC No.105) who made his debut in June 2018 and Jake Gordon who made his debut in November 2018 (SUFC No.106). Check out our list of SUFC's Representative Players. In 2018 eight Wallabies hailed from SUFC (Folau Fainga’a, Israel Folau, Bernard Foley, Jake Gordon, Tolu Latu, Matt Philip, Nick Phipps and Tomas Robertson) plus two Wallaroos in Grace Hamilton and Emily Chancellor who made her debut this year. A further three represented Australian for the Aussie 7s (James Armstrong, Henry Clunies-Ross and Matthew Hood). In addition 22 SUFC players played in Super Rugby teams including Folau Fainga’a, Harry Johnson-Holmes and Brad Wilkin who all made their Super Rugby debuts along with six Women who representated NSW in the Inaugral Super W competition.